I have tested this application many times on many different version and have never done a reivew of it due to the fact that I did not think that it functioned well enough. 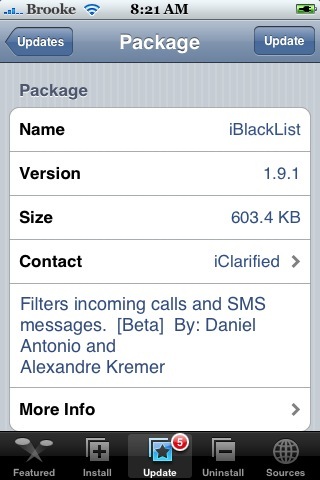 Well, I am actually quite satisfied with version 1.9.1 of iBlackList. Below is a full review of the application. However, I am going to give a brief warning first. I have never used a call/sms filtering application that works completely perfectly and iBlackList is no exception. Please read this review and install at your own discretion.